There really is nothing so refreshing in the summer as watermelon, so of course, a slushy watermelon margarita is a perfect drink for a hot summer day. Or maybe even just a warm spring – thinking of summer – day. Is it too early to be posting about fun summer cocktails? No, right? It’s never too early. 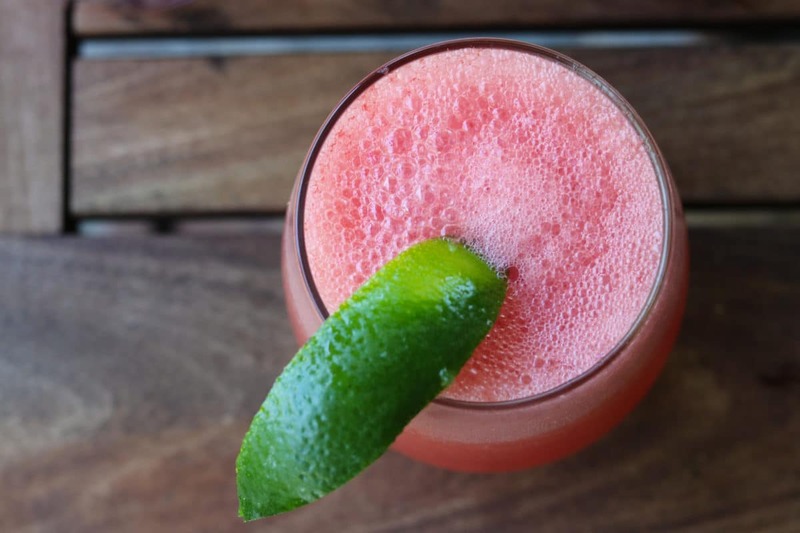 There is something about margaritas that just screams SUMMER! Although, let’s be honest, margaritas are great all year long. 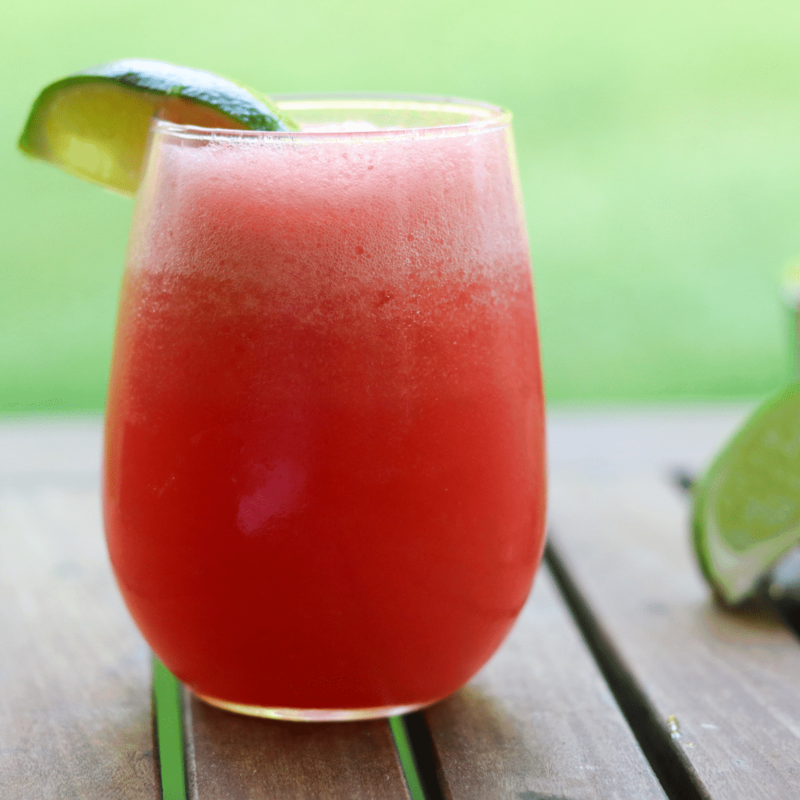 This slushy watermelon margarita is particularly perfect for summer – because – watermelon! Growing up, I was never a fan of watermelon. It’s just so messy. 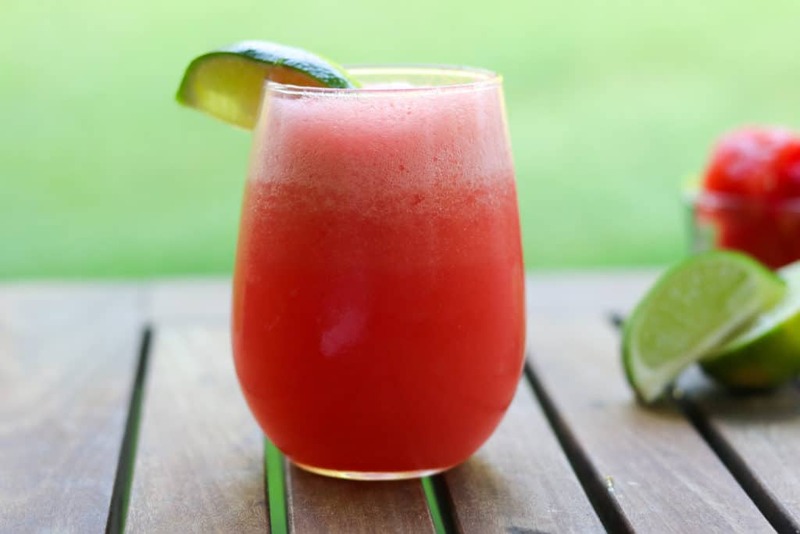 But watermelon, in a blender, with tequila – I am in. This margarita is so easy to make. 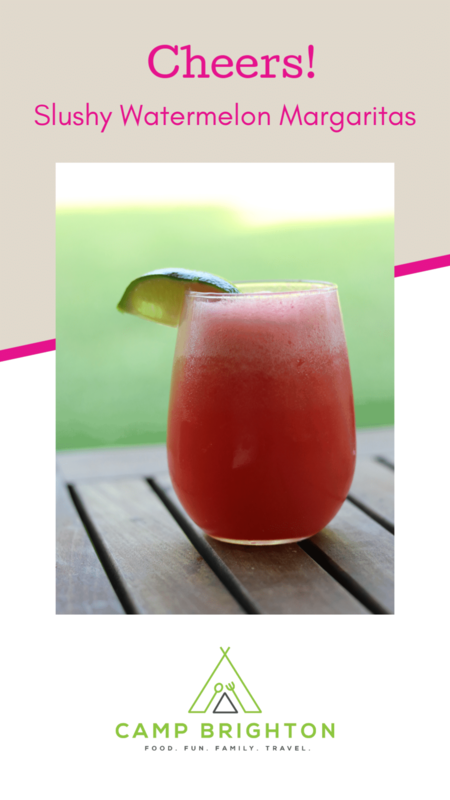 All you need are chunks of watermelon, some lime, ice cubes, tequila, and triple sec. Yep. Easy peasy. Adjust the recipe as needed – if your watermelon is super ripe and very sweet, you won’t need to add any sugar to the blender. However, if you feel like your margarita needs a little bit of sweet, add some simple syrup, or just a tablespoon or two of sugar. 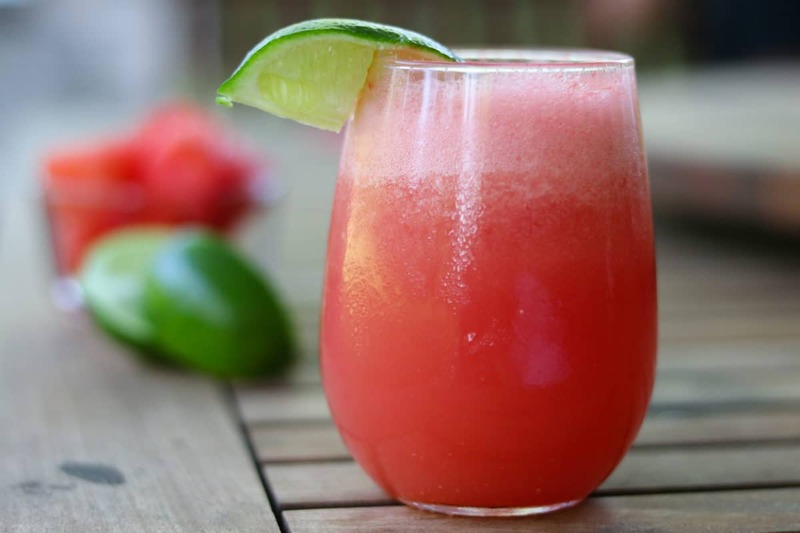 Blend together watermelon, ice, and tequila for your new favorite summer drink! Combine all the ingredients in a blender. Blend until frothy. Taste test! 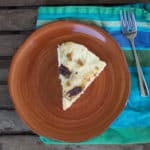 Add a little bit of simple syrup or sugar if it needs a little sweetness. Pour into glasses and garnish with a slice of lime.